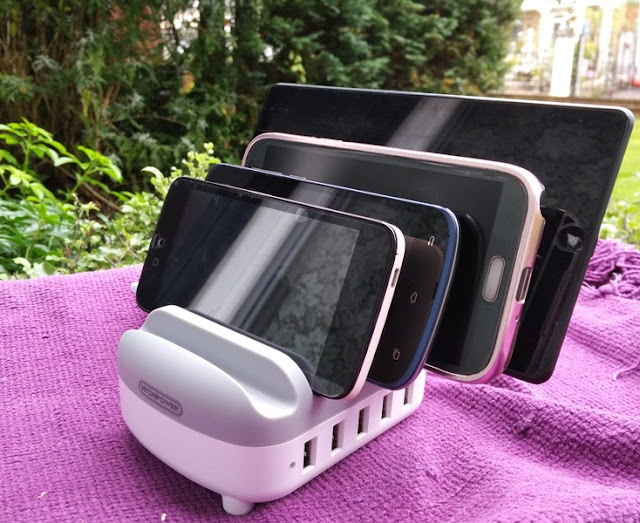 A neat and easy way to simultaneously organize and charge all your devices at home or at the office is with a solution like the multi device charging station by Ntonpower! 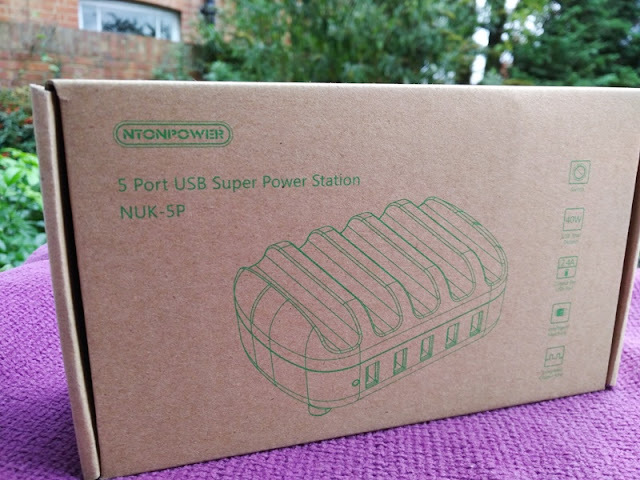 The Ntonpower charging station combines 5 USB ports in one compact charging solution that also allows you to dock the devices in one place thanks to 5 slot dividers that can hold tablets and smartphones of various sizes. 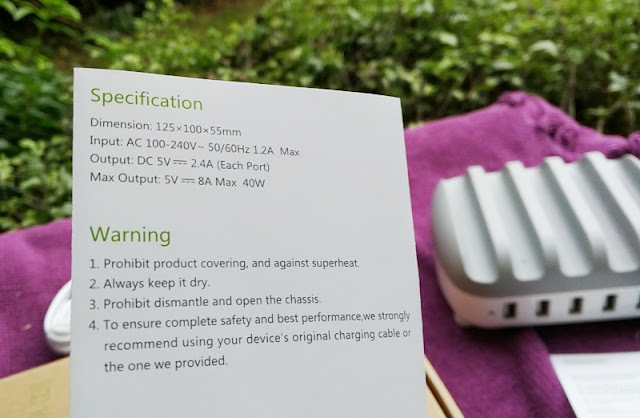 The charging station weighs only 450 grams and measures 128 mm long, 98 mm wide and 56 high so the charging station has a small footprint. 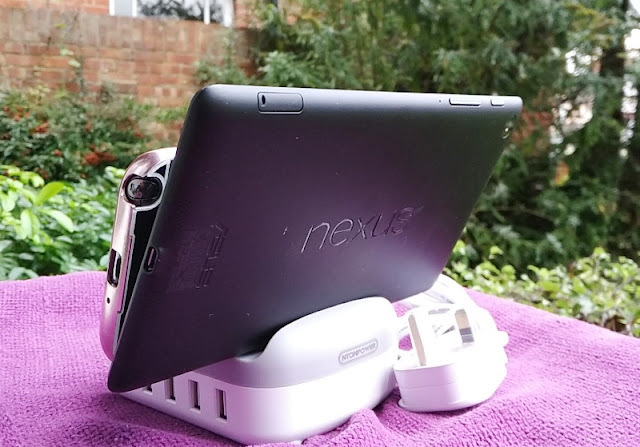 There is also a cool factor to the Ntonpower charging station thanks to its sleak, modern design with grey and white accents. 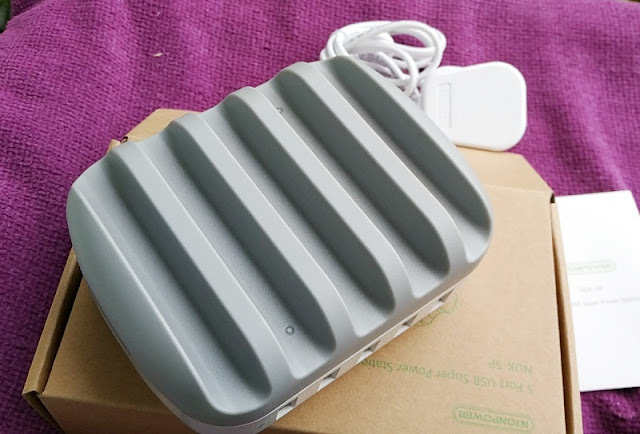 The material of the housing is made with thermoplastics (ABS and PC) that can withstand temperatures of more than 500℃, making the unit fire proof in case of internal combustion. 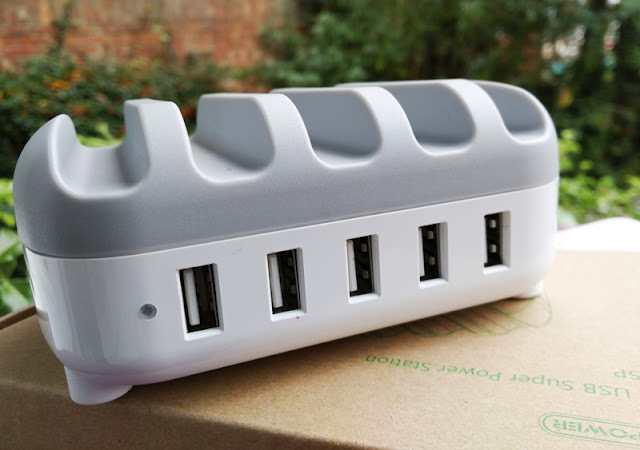 The total output of the 5 USB ports is 40 watts (8 amps), which is enough power to charge 3 smartphones and 2 tablets at the same time. The charger is capable of delivering a maximum of 2.4 amps to a single USB port or a maximum of 1.6 amps to each USB port. Thanks to smart IC technology, you won't have to worry about your devices getting overcharged. 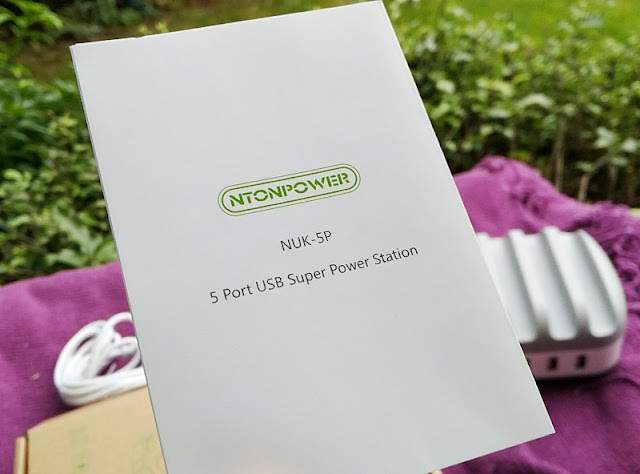 The integrated IC chip in the Ntonpower charger station automatically distributes current to all 5 USB ports according to the charging protocol of each device, so each device gets the correct amount of power. 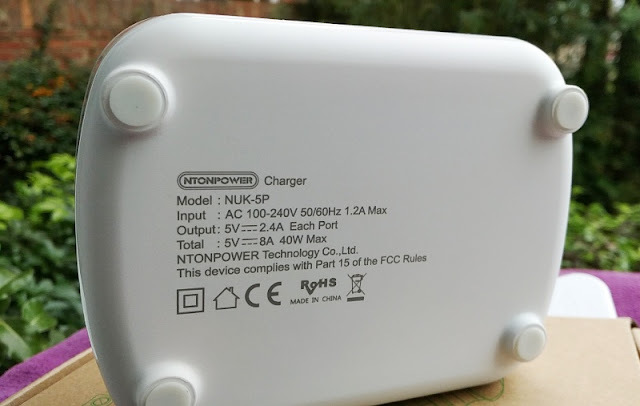 Should you plug a device that requires current larger than 2.4 amps it won't charge thanks to the current safety feature which automatically cuts off power. 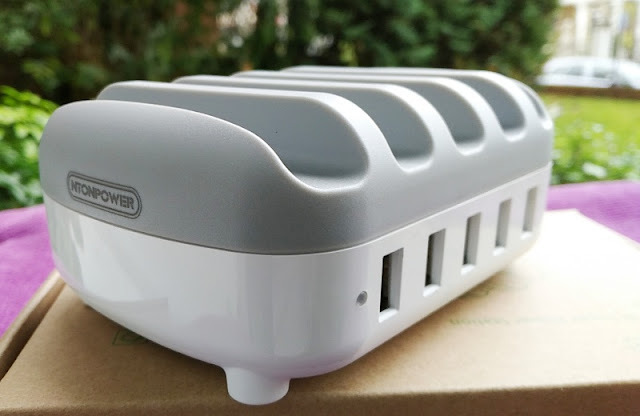 There is also a charging and short-circuit safety features which also cut off power when charging is complete and when the charger malfunctions. 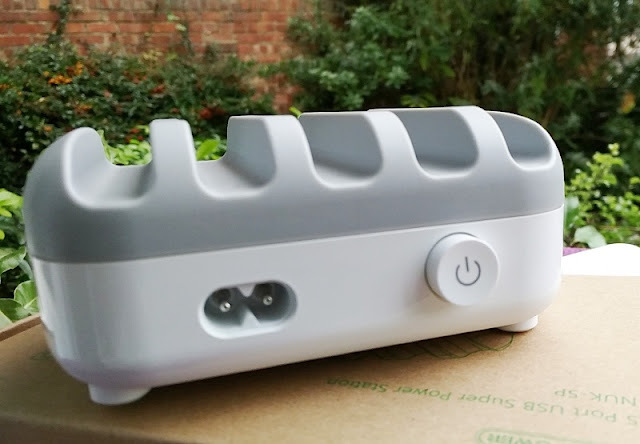 There is also an on/off button on the back of the unit so you can turn off the charger when charging is not required. The included 8 figure mains power lead connects to the the 2-pin 8 figure female socket on the back, supplying a voltage between 100 volts and 240 volts depending on your country's voltage rating. In the United Kingdom, it is 230 volts. The power LED indicator that is located on the front of the unit shows solid blue when power is being delivered to a device. Compatible Devices: Apple iPhone 6/6 Plus/6S/6S Plus/5S/5C/5/4S/4, Samsung Galaxy S7/S7 Edge/S6/S6 Edge, Galaxy S5/S4/S3, Samsung Note 5/Note 4/Note 3, Sony, Nokia, Google Nexus, HTC, LG, Huawei, Xiaomi, OPPO, VIVO, and the other phones. 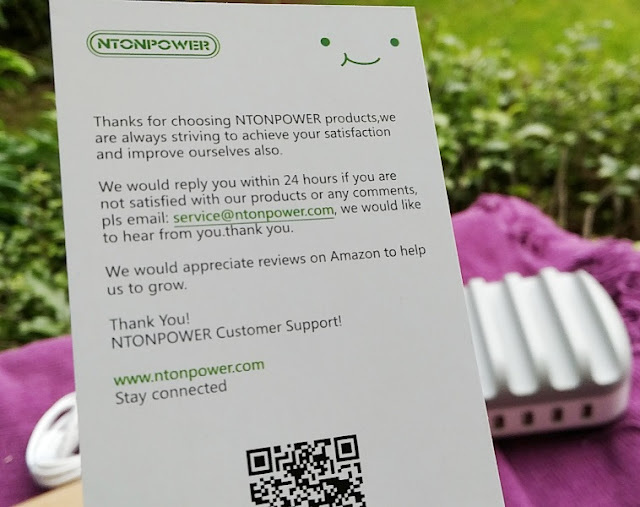 The Ntonpower charger station is also compatible with tablets like the iPad 5/4/3/2, Samsung Galaxy Tab / Galaxy Note PRO series/ Tab3 series, and the other 5V tablets.